Did you know color increases brand recognition by 80%? Nosco has the technology in place to ensure color consistency across all products and printing platforms. Each year, more and more brands switch from spot to process color models to improve efficiencies and print with colors they know they can count on. How do they do it? With Nosco’s state-of-the-art digital technology. 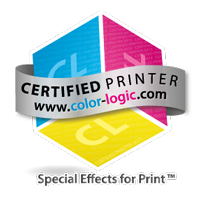 Nosco employs G7®/Fogra standards for compliance in order to provide the very best color management. With these standards in place, your packaging will match the G7® proof, 4CP or 7CP guides to <4ΔE from run to run. G7® is part of Idealliance’s industry-leading set of specifications for achieving gray balance, and it is the driving force for achieving visual similarity across all print processes. Fogra is a similar standard for Europe and can be used in digital, conventional offset and flexographic printing processes. words, orange, green or purple is added to enhance your color. Color-Logic is the leader in decorative and reflective color communications system providing brands with shelf impact at a fraction of the cost. 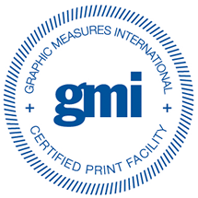 GMI is a worldwide certifying body that monitors and measures the performance of packaging suppliers.